Happy Monday! Today I am excited to be participating in a little Tour Through Blogland, thanks to my friend Chaney. If this is your first time visiting The Gallivant than welcome and thanks for reading! This is how this post works: First I will introduce Chaney, then I will tell you a little bit about myself, and then I am going to introduce two of my favorite bloggers that I am excited for you to check out! First up, I want to introduce you guys to my friend Chaney, from May Richer Fuller Be! Chaney and I have known each other for a long time via FOCUS, a ministry we have both been involved in forever. 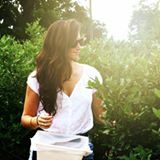 I have always really looked up with her, so when I heard that she had started a blog I was so excited to follow along! Chaney focuses primarily on DIY in MRFB, and her projects are super cool and inspiring. 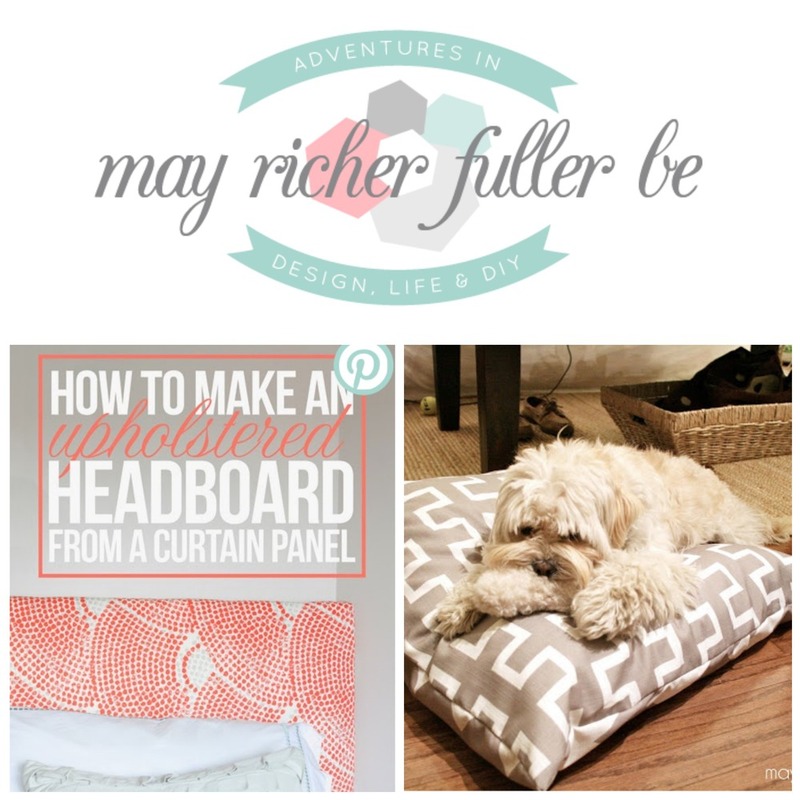 I highlighted a couple of my favorites above--her DIY upholstered headboard, and her "sew it yourself" dog bed. It seems like Chaney comes up with a new and creative way to elevate her (always so pretty and cozy) home both ingeniusly and affordably every week! I also love that she writes a lot about organization, and always take notes from those posts. Chaney and her wonderful husband Charlie, as well as their adorable dog Jackson, recently moved to Philly from DC. If you are into interior design and DIY I would definitely bookmark MRFB, especially because I smell a lot of great projects coming up given the recent move! To read a bit more about Chaney, head over to her blogtour post here. Aside from blogging, I currently work as a freelance writer and editor. I also work part-time at the cutest boutique in Pensacola, and am working on a novel! The more I evolve professionally, the more I identify and am drawn towards the Creative community. I love having multiple projects, and having my hands in a few different things (Sometimes to a fault--I am a chronic over-scheduler.) I believe I was formed by a Creator, won by His son, and when I am creating with my hands (across all sort of mediums--art, words, food, dirt) I feel near to Him. Right now I have a massive to-do list that I am slowly chipping away at. In terms of bigger things I am editing a client's novel, wrapping up some work for a local magazine, and researching graphic design as well as social media. I am also working on some fun upcoming posts for the Gallivant, including a home-tour (I said it....automatic accountability. Now I have to do it!) a yummy smoothie recipe, and a recap of the incredible day trip we took yesterday to Seaside and Watercolor. In the past few years blogging as an industry has really taken off, and as of now it seems like there are hundreds of blogs out there. One of the reasons that I have always loved reading blogs (you can see a list of some of my favorites here and here) is that I feel as though it has expanded my realm of experience and perspective beyond just what is going on in my own bubble of friends and loved ones. Blogging gives people the opportunity to connect around the world. I love that when John and I think about where we could be moving next, I can look up bloggers in San Diego or Virginia Beach, and immediately get an authentic sense of what it is like to live in those places. All this being said, it is so easy when blogging (and on any social media outlet really) to stick to the nice and pretty things, and not write about the harder or messy parts of life. This, in turn, can result in a lot of unhealthy comparison. While I love to write about incredible travel experiences, yummy food, beautiful design inspiration, and generally upbeat things--I also am committed to authenticity and transparency, and trying my best to share with my readers what we are learning when things are not quite as easy and pretty. We are young and married, just starting our careers, and meanwhile life is really happening around us. Real life, where money is sometimes tight, tests are failed, fights happen, people get sick, and some days are just discouraging--because our world is broken. Despite this, I believe firmly in a God who came to redeem this world, and that we will have trouble in this world, but that we will learn from it and be closer to Him--and that makes the hard stuff worth sharing. Being able to write and having the capacity and desire to create are gifts that I have been given, and being able to exercise them brings me so much joy! I feel like my mind space expands so much when I am being creative, and I have learned over time that carving out time for that is so important in order for me to feel healthy and balanced. Also, it is SO fun to connect with other people who share similar passions. Hmmm. Great question. I am still learning what my creative process looks like, and I love reading how other people's works in order to gain inspiration. Recently, I have found that writing out a strict hour by hour schedule as well as a to-do list every evening for the next day really helps me relax when I quit for the day and keeps my mind from spinning. Because I am always juggling a few different projects, growing in discipline and learning what organization techniques work for me has been super important in establishing work flow. I also find that taking breaks to be creative really help me recharge and re-establish focus when I get back to work. Recently I have been practicing hand-lettering for a few minutes when I want a break from writing. My inspiration board is now covered in (very amateur) quotes and verses that are giving me life at that moment. Ok so thats me--now a little bit about two of my fave bloggers! I mention Linz all the time over here (because she is my oldest and one of my best friends) but have you guys checked out her blog, Mac & Marlborough yet?! Lindsey started her blog a few months before me, and it has been so awesome to grow our blogs together and trade tips and tricks along the way. (Aka Im constantly asking her questions and she is constantly giving me the best advice.) Mac & Marlborough, named after the street Lindsey and her fiancé Josh live on in Boston and their puggle Mac, is an awesome DIY blog with a little bit of lifestyle thrown in. Some of my favorite posts include the how-to for those sweet elephant bookends, as well as the homemade margarita flower popsicles, and anything they are making with reclaimed wood. I also love reading about Josh and Lu's adventures around Boston--they go on the best unique dates, and are always inspiring John and I to think out of the box. Lindsey is in the new stages of planning her wedding, so heres hoping for some fun wedding posts in the future! Congratulations you two little diy-ing love birds! 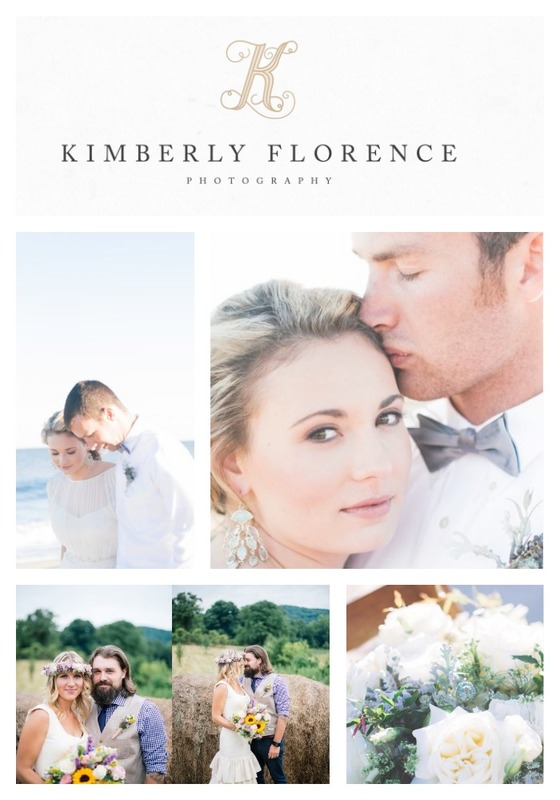 Kimmie and I became dear friends in college, and I had the privilege of watching Kim run after her dream of being a professional photographer and launch her business, Kimberly Florence Photography. She is seriously talented, and I love reading her blog posts as much for her gorgeous photos as for the wisdom she shares. Not only does Kimmie share posts about her recent weddings and various engagement and portrait shoots, but she also writes a lot about starting your own business, entrepreneurship, work flow, branding, and always keeping Jesus at the center. Kimmie also writes lovely reflections on whats going on in her life as well as her wedding planning process as she prepares to wed her handsome Andrew in March! Kimmie is a huge inspiration to me, and I have learned so much from watching her grow as a creative and professional. If you love beautiful images, lyrical writing, and learning about how other young professionals are achieving their dreams than this is the blog for you! Don't waste a second-- ahead and add Kimberly Florence to your blog roll right now. Thanks for reading, friends! I hope you are excited to discover some neat new blogs--I just know that you will love and be inspired by them as much as I am.